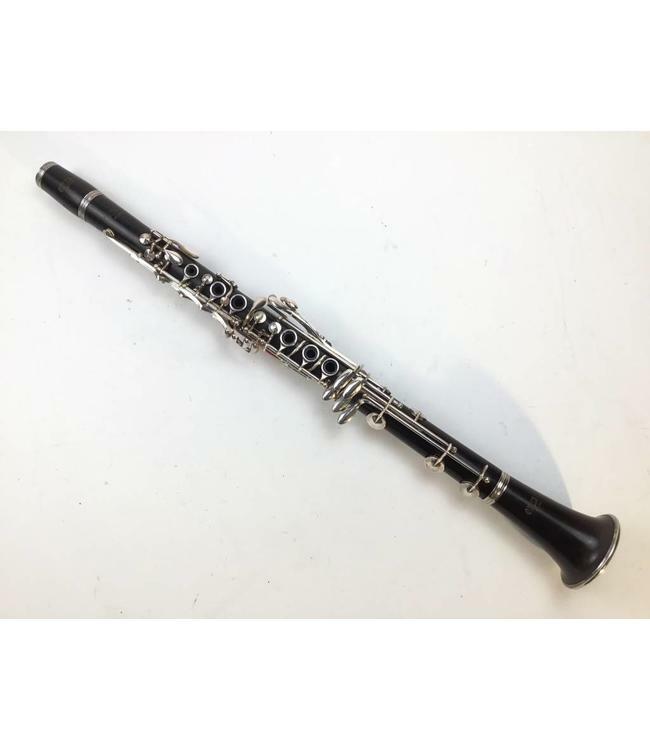 Used Orsi wood clarinet made Italy. Light stained grenadilla wood with no splits or cracks. Silver plated keys with low Eb key. Comes with case.